For the 2017 Summer School in St.Petersburg, Russia, applicants with backgrounds in all relevant fields (sociology, economics, political science, education, public administration, management, psychology, etc.) are encouraged to apply. The objective of the International Summer School is to provide unique learning opportunities by bringing together both young and senior researchers of higher education. This exchange of perspectives will advance our understanding of higher education and foster the integration of young researchers into an international professional community. – higher education’s contribution to social solidarity and social wellbeing. Jussi Välimaa (Professor, Finnish Institute for Educational Research, University of Jyvaskyla). Po Yang (Associate Professor, Department of Economics of Education, Graduate School of Education). The format of the Summer School includes seminars, discussions of participants’ research projects, master-classes on research methodology and writing articles for academic journals. The working language of the summer school is English. Participants must have a strong command of spoken and written English. Participation fee is 350 EUR for double accommodation and 450 EUR for single accommodation. It includes lodging for 6 nights, three meals daily, coffee breaks, welcome and farewell dinners, excursions. Travel to/from St. Petersburg should be covered by the participants. Ten scholarships will be provided to cover participation fee for applicants selected on a competitive basis. 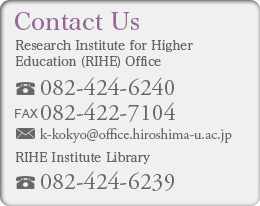 A summary of your current research project dealing with higher education (you will be expected to present this at the Summer School), including the objectives of the study, its theoretical/conceptual framework, methodology/design, and significance (in English, 500-1000 words). Please try to do your best while preparing this document as its quality will be one of the main selection criteria. A personal statement outlining and explaining your interest in the Summer School (in English, 300-500 words). Recent curriculum vitae detailing your education and work experience, publications, other professional activities. The selection of Summer School participants will be made no later than March 31, 2015. Please consider that you might need to apply for Russian visa in order to come to St. Petersburg (check with a Russian consulate in your country). The Organising Committee (HSE): Anna Smolentseva (Senior Researcher, Institute of Education, HSE); Nelly Pavlova (Manager, Institute of Education, HSE), Isak Froumin (Academic Advisor, Institute of Education, HSE), Alexander Sidorkin (Dean of the Graduate School, Institute of Education, HSE). Questions could be addressed to Nelly Pavlova tel. +7 495-623-52-49, nellypavlova@hse.ru.